← Actually, chocolate sounds pretty good. 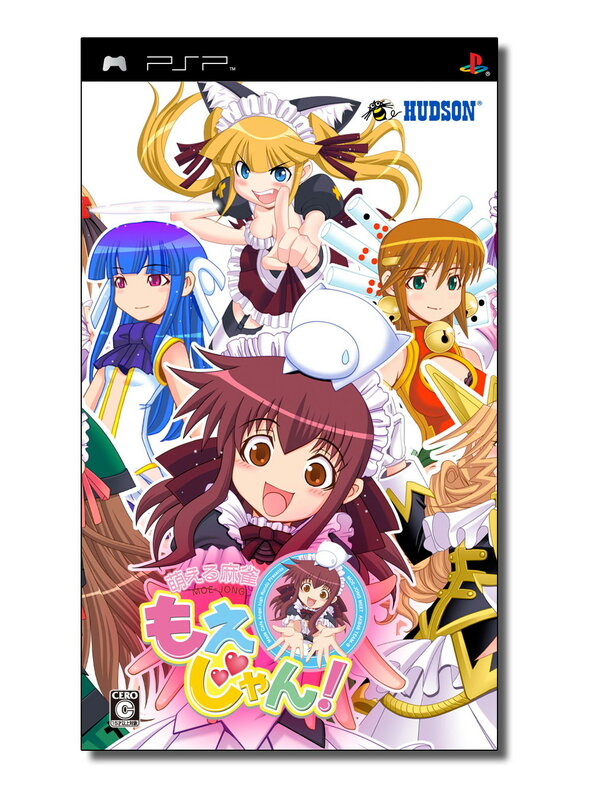 Back in December, Hudson released a game called “Moeru Mahjong Moe-Jong” on the Japanese PSN, for the princely sum of Y1200. That represents a savings of 75% from its retail price, which is pretty odd for the PSN, so maybe it didn’t do well at retail? I put off buying it for some while, even though I actually had money already in my Japanese PSN account and therefore it theoretically wasn’t going to cost me anything I hadn’t already spent, because I was playing through a bunch of Saturn mahjong games already. Still, inevitably, I broke down. I’m not going to get into much detail about the game because I’ve only played a little of it. Basically, it’s got a story mode, there’s no stripping, it’s four-player mahjong, it’s got quite high production values, and so far it looks pretty fun. It features voice acting by members of AKB48, which seems to be an all-girl musical group where the girls rotate out as they get older and new members are brought in. Basically, a hyper-cute Japanese Menudo. I may be dating myself by making that comparison. The reason for this post is that I’m hoping to save other people the same problem I had. When I started the game, I got a status message saying that it was checking the memory card for a save file and not to remove the memory card. Then it gave me an error “No data found : 80110307” (strictly, “データがありません。（８０１１０３０７）” ) with an OK button. I OKed that and it asked me if I wanted to start the game as-is. (“このままでゲーム開始めしますか？”), this time with yes or no options. I chose “Yes”, because I assumed that I just needed to get into the game and that it would then create the missing save file and all would be well. I was a bit optimistic there. After playing the game for a half hour or so, accumulating a fair score, and unlocking a few things, I decided to give it a rest. Note that, during this process, I’d occasionally been getting a “now saving” sort of icon appearing in the lower right corner. It seemed like my theory was a good one. I started it up again later, and, of course, got the same errors again, got into the game, and found that none of my progress had been saved. OK the first couple of prompts. Select yes to the next prompt. Get into the game and get to the main menu. NOW select “yes” when it asks you if you want to create a save file. This is not exactly intuitive. I’m not going to call it exactly user-hostile, because I’ve seen WORSE, but it’s pretty daft. Anyway, if you are getting any of the above errors and your google searching leads you here, try those steps and good luck. This entry was posted in mahjong, psp, videogames. Bookmark the permalink.